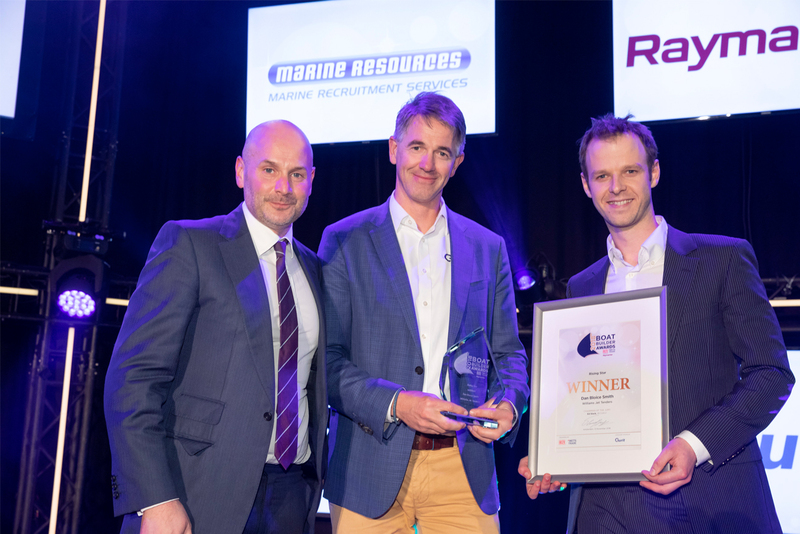 Williams Jet Tenders, the world’s leading jet tender specialist, is celebrating after its Design Engineering Manager, Dan Bloice-Smith won the inaugural Rising Star Award at this year’s prestigious Boat Builder Awards, which were announced during a ceremony at The National Maritime Museum, Amsterdam. The Rising Star Award was a new category added to this year’s Boat Builder Awards and recognizes an individual up to the age of thirty-five who has had a major impact on the boat building business. Over the last eight years at Williams Jet Tenders, Dan has been instrumental in the growth of the business. Having joined as an Engineer in 2010, he now heads up the technical department and oversees new product development. With a proven track record in designing world-class products, Dan has been involved in the launch of no less than 16 new models and was pivotal in the launch of the Minijet 280 in 2016, a light weight 2.8m tender that would allow Williams to access a whole new market sector. Not only talented on the design side, but Dan has also devoted his spare time to establishing and running Williams’ innovative ‘Powerboat School’. Engaging with the local community, Dan oversees a group of students through a six-week programme, teaching them the basics of boat building across consecutive weekends. The best students are offered an apprenticeship at Williams the following year and to-date, the programme has produced six apprentices who have gone onto becoming full-time employees. The Boat Builder Awards celebrate outstanding business achievement within the marine industry, organized jointly by IBI magazine and METSTRADE and recognize individual and team success across ten categories of business achievement globally.